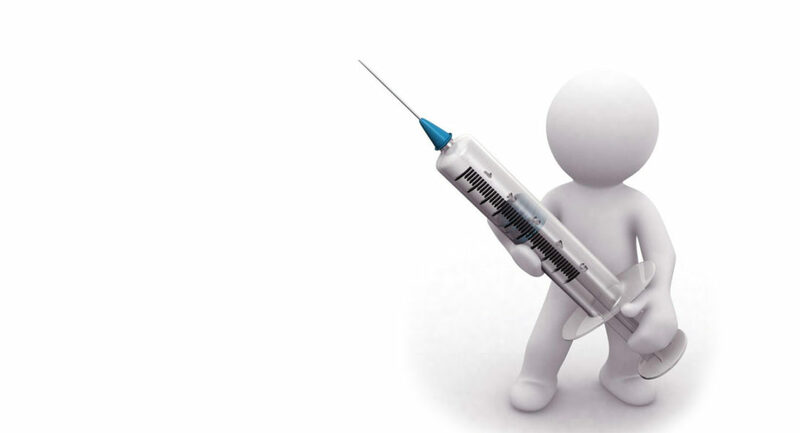 Last weeks article on colds and flu sparked a lot of queries on twitter about the flu vaccine. People wanted advice on whether they should get it or not. A lot of people said they get it every year and genuinely believed it stopped them getting ill. Would I personally get it? The answer is no. Perhaps if I was a person at high risk I would consider it, but I do know I would do everything in my power to avoid it. Why? Because I believe some of the elements, like the preservatives used, to be highly toxic and damaging to health. This is a controversial subject and many would disagree with me so I asked psycho-neuro-immunology clinician Fleur Borrelli to give us an all round view of the situation. 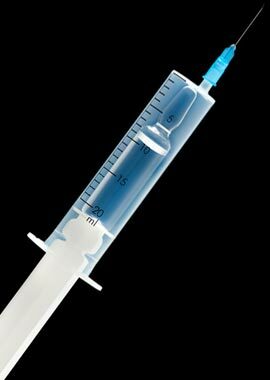 Vaccination is thought of as one of the most important health advances in the 20th century by most healthcare professionals. Those who do not accept the flu vaccine, which is becoming more and more readily available, are considered to be pariahs because they are refusing what could be a lifesaving intervention and putting everybody else’s health at risk. Admittedly the symptoms of flu can be really unpleasant and debilitating. But these are due to the fact that our fantastically complex immune system needs to use all the energy reserves in the body to fight the flu virus. It is important that we should feel weak and have to slow down so that the body can allocate energy to where it is needed most to fight the invader. Fever is a necessary part of this heightened immune reaction. Over the millions of years of our evolution, our immune system has become gradually more and more complex to be able to deal with challenges from pathogens such as bacteria and viruses. It is important that every now and then our ability to withstand these challenges is put to the test. Yet doctors are trained to view the human body as an error-prone system that needs to be forced into submission with vaccines, antibiotics and other medical interventions. However, the ability of our immune system to cope with the bugs that come our way during the darker days very much depends on the lifestyle we lead. Living a ‘toxic’ lifestyle through heavy alcohol consumption, a processed food diet, lack of exercise and smoking can mean that our immune system may be compromised. Certainly the elderly are most in danger during the winter season as their immune systems may not be as robust as someone half their age. Flu may be an occupational hazard of the colder months but it is only when it leads on to more serious illnesses such as pneumonia that the situation becomes more threatening. But does that mean that the flu vaccine might be a viable alternative to this? Certainly epidemiological studies would have us believe that the vaccine is associated with a reduced risk of mortality. But these studies do not prove that vaccinations actually save lives. In fact, a recent study has been able to show that those in their more advanced years who get the vaccine have a greater tendency to be more conscious of their health anyway. Flu vaccines contain strains of common flu viruses that are offered to our immune system as a ‘gentle’ challenge. The theory is that we may then build up an immunological memory and defence system to these strains so that should we become infected later on, we are equipped. This may mean that during this process we will get, albeit a milder version of, the flu! What is particularly concerning is that some flu vaccines may also contain a mercury-based preservative known as thiomersal (known as thimerosal in America). This can have toxic effects, particularly for the brain and has been linked to neurological disorders such as autism and attention deficit disorder in children. In addition the flu vaccine is typically made using chicken embryo egg proteins and could provoke an allergic reaction in those susceptible. Ultimately, the decision to vaccinate or not should be very much down to personal choice rather than the bullying tactics of large organisations who are more financially motivated than acting in the interests of health. Woe betide anyone who questions the safety and efficacy of vaccination but billions are paid out each year in compensation to vaccine injury victims.